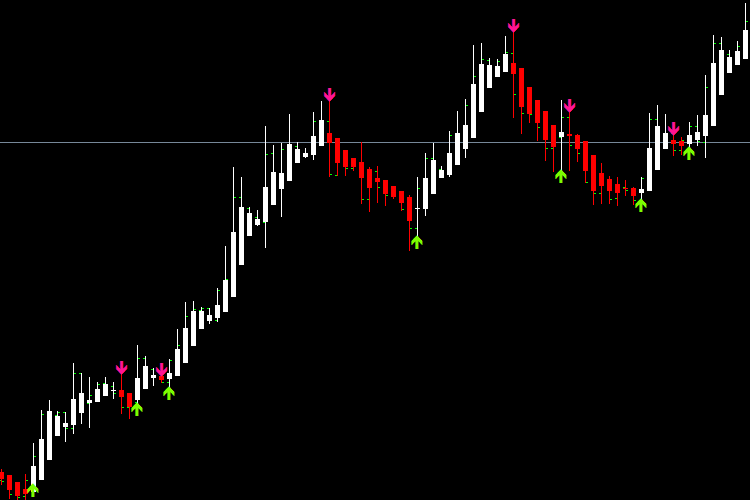 This indicator draw Buy and Sell Arrows based on standard Heiken Ashi indicator in MetaTrader 4. A Buy arrow is printed when a bullish Heiken Ashi candle get closed after a bearish candle. A Sell arrow is printed when a bearish Heiken Ashi candle get closed after a bullish candle. Signals can only appear in a alternate manner i.e. only a buy signal after sell and vice versa. Popup, Email and Push notifications alerts are included.